DEN BOSCH - Helping with meals, supporting activities, drinking a cup of coffee together or going for a walk... the role of volunteers caring for older people is clear, but the repertoire is limited. 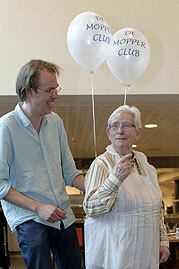 Both older people and volunteers have other talents that are not put to use. 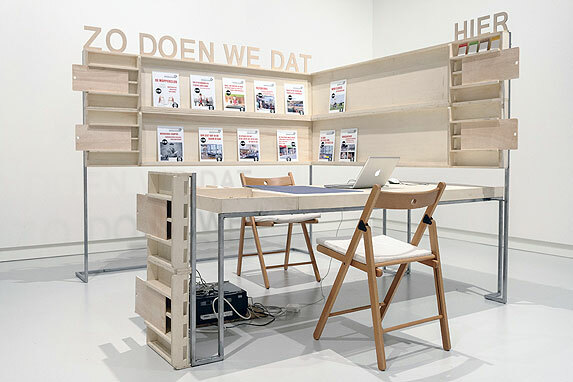 To make this hidden potential visible, Sjaak Langenberg and Rosé de Beer are developing a number of prototype projects together with older people, volunteers, voluntary organisations, businesses and council amenities in Den Bosch. If you are able to regard the city from another viewpoint, then council amenities could emerge as drop-in activity centres. Local builders can offer curious older people a tour round a building site and, instead of pouring cups of coffee, a volunteer who tinkers with his vintage car in his spare time can start an alternative taxi service. The project 'That's the way we do it, new behavioural conventions in elderly care' is played out against the background of the current Dutch debate surrounding the participatory society, compulsory voluntary work and the overstrained expectations of active citizenship. By taking alternative talents as a starting point when recruiting volunteers, new, unexpected activities can be developed which give people a lot of pleasure because they arise from an actual interest. These activities can lead to the establishment of a different image for voluntary work in the care sector and thus to the accretion of volunteers. This regained pleasure is possibly even a cure for the hospitalisation of carers and volunteers – carers sometimes sink their teeth too deeply into their role as carers, whether through force of habit, fear of change or through the pressure of rules surrounding the burdens of administration. 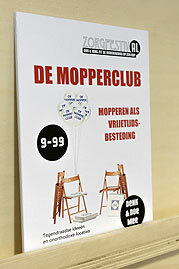 The project 'That's the way we do it, new behavioural conventions in elderly care' is one of Langenberg & de Beer's contributions to the three year research project Reinventing Happiness, an assignment from the 's-Hertogenbosch Museum of Contemporary Art and guest curator Joanna van der Zanden. The aim of Reinventing Happiness is to develop alternative social concepts and to investigate if another definition of happiness could deliver new perspectives for the future. Other research contributions are being provided by Jeanne van Heeswijk in collaboration with Paul De Bruyne, and Frank Bruggeman.